I had the privilege to be invited by Ras Al Khaimah Tourism Authority team to experience their sumptuous and delightful variety of tasty Arabian dishes, desserts and refreshing Ramadan drinks at the Al Marjan tent situated in the heart of Al Marjan Island in Ras Al Khaimah last June 23th. I live in Dubai and I still don’t have my own driver’s license so I asked them kindly if they can arrange a pick up and drop off for me which they happily did. I was picked up by RAK and SUN at exactly 5:30pm, in Dubai. We arrived in Al Marjan tent just a bit early for Iftar. The tent was set up in a traditional arabesque way. Gorgeous Ramadan lantern on top of the middle isle of the tent. The best part was the traditional entertainers, playing oud and adding that middle eastern vibe, to top it all off. The ambience was perfect for those who will break their fast with their families and friends or simply dining out. Personally, I liked their lamb ouzi and their jalab 🙂 in short I had a food coma after stuffing my face with all the tasty food in front of me! After the Iftar, I was invited to stay in Hilton Al Hamra Beach and Golf Resort for one night. I was welcomed at the hotel desk by their friendly staff, Rechid. He informed me everything about the facilities of the hotel and handed me a tourist map, mini guide of the hotel and a voucher for meal and even asked me if I wanted to book for a spa/massage for the next day. He gave me a free membership of Hilton Honors where you can earn rewards, free stays, endless destinations, exclusive stay benefits and more. Another hotel staff by the name of Joseph, helped me with my luggage to my room. I had my breakfast and lunch at Al Shamal restaurant. They are serving international cuisine. 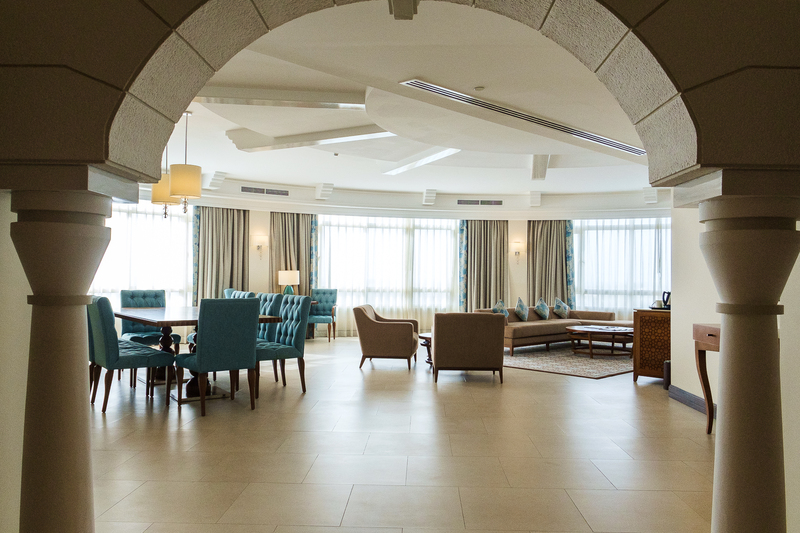 Although I had an option to have my lunch in any outlets in the hotel such as the Al Jazeera (Lebanese cuisine), Le Chalet (light meals, a-la-carte specialties) and Scirocco (modern public house). I wanted to visit Trader Vic’s Mai Tai as well but they only open from 5pm. I should’ve stayed longer. Next visit, for sure I will! 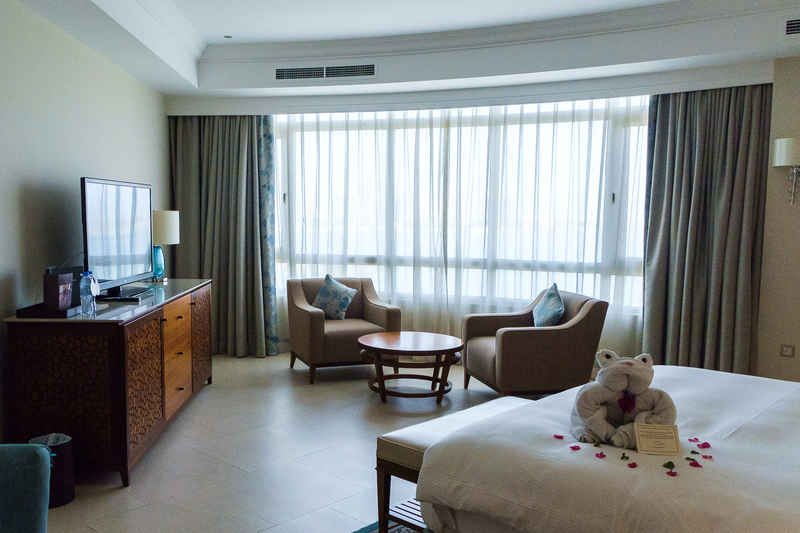 I was also able to view their Presidential Suite, thanks to Alison for showing us around the hotel. My stay will never be complete without the beautiful and friendly hotel staff and of course the General Manager of Hilton Al Hamra, Mr. Gherardi. I was treated like a QUEEN! 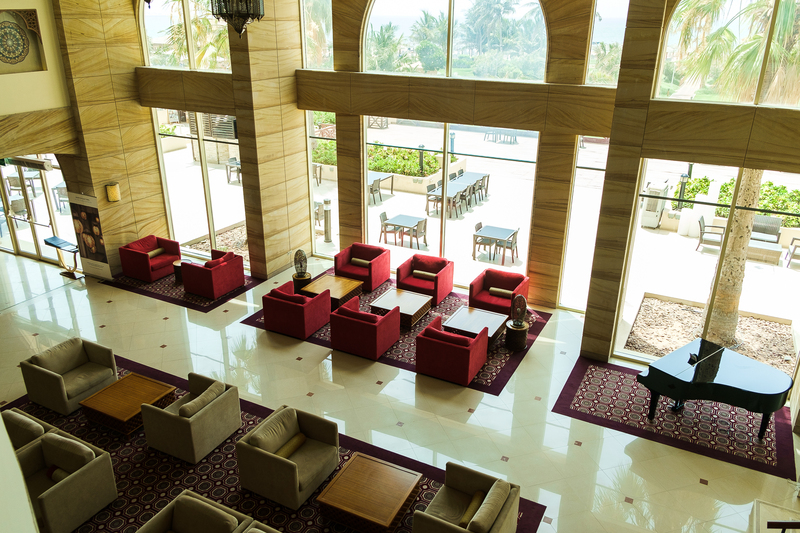 Everything you need for a staycation and a home a way from home is already here in Hilton Al Hamra Beach and Golf Resort. Many thanks for having me. 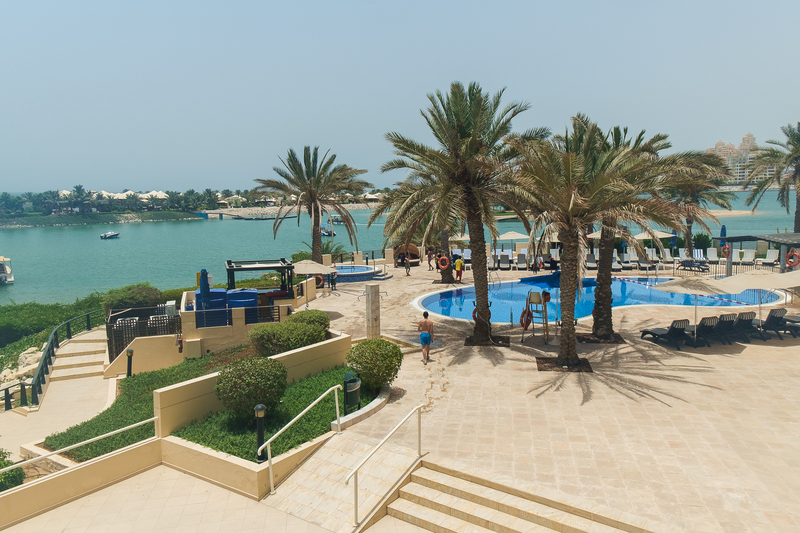 I highly recommend it to the tourists, expats and even the locals to visit Ras Al Khaimah whenever you are in the UAE and while your at it, stay and relax in Hilton Al Hamra Beach and Golf Resort.